For those of you who know Tracy Landt personally or via the equestrian world, you'll know that she is someone who always puts horses first. On Saturday 19th December 2015 she, her family and friends did just that. 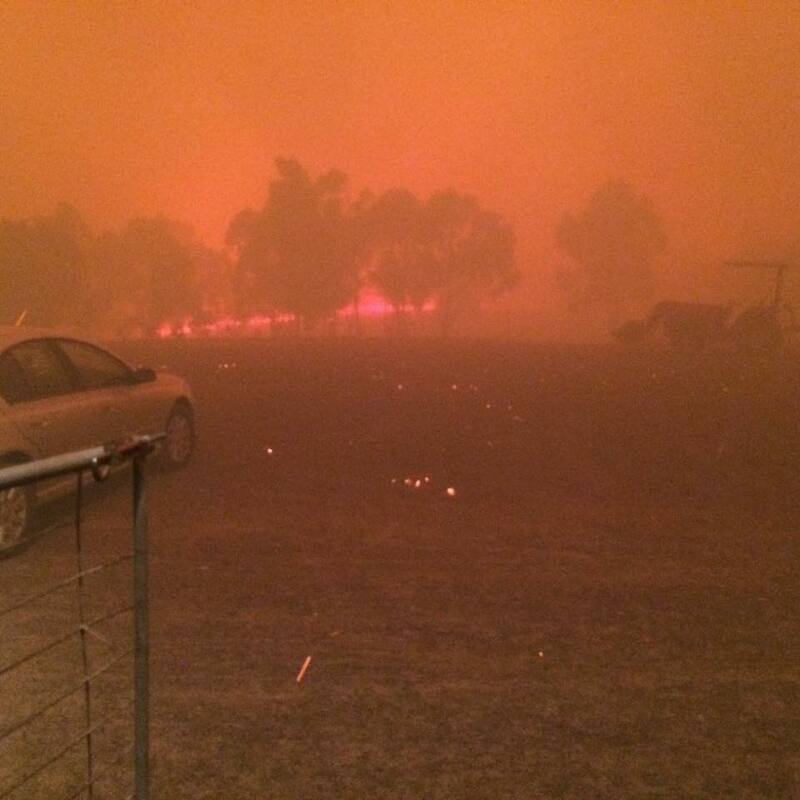 They saved the lives of thirty horses from a treacherous bushfire as it assaulted her property. 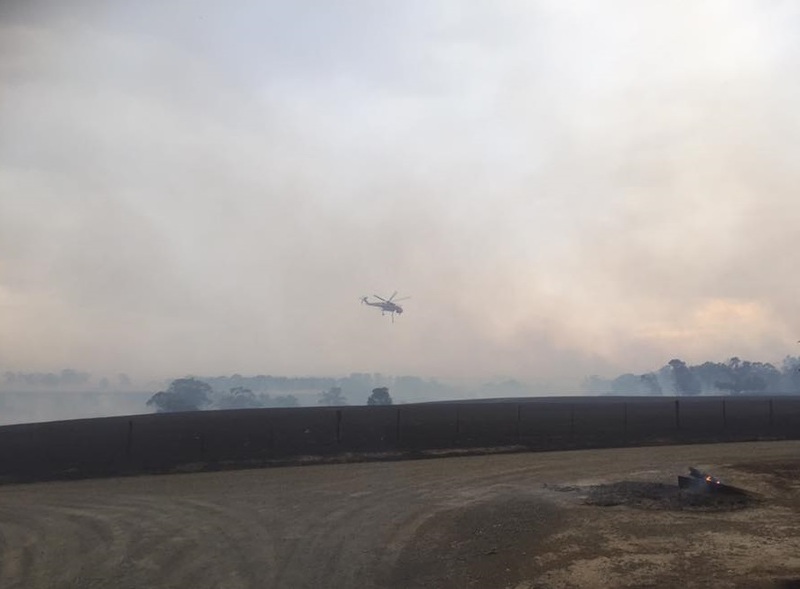 She fought to save her own, her agistee's horses and the infrastructure of her business, Unicorn Park Stud & Equestrian Centre from the terrifying 'Scotsburn bushfire' which hit near Ballarat, Australia. On activating their fire plan that dark day, they managed to save their own lives and those of all the horses on her agistment property, by putting them under sprinklers in the indoor arena. Tracy had been diligently paying her farm insurance fees for the fourteen years she'd owned the property. However it wasn't till she rang her insurer after the dreadful event that she discovered that there had been a recent small print change to her insurance that she had not noticed - all her burnt fencing, water pipes and troughs were no longer covered by the paid up policy. There had been a recent small print change which meant on paying the latest premium she had agreed to no longer be covered for those items. Tracy's livelihood is now under threat. She needs to replace the fencing ASAP so that she can keep her remaining agistee's horses in her care. She also needs to install new water pipes and troughs which she simply can't afford, on top of paying for the hay and feed they need, to replace the grass and hay supplies they lost. Tracy and her agistment, stud and equestrian centre has been pivotal in her local community for more than a decade. 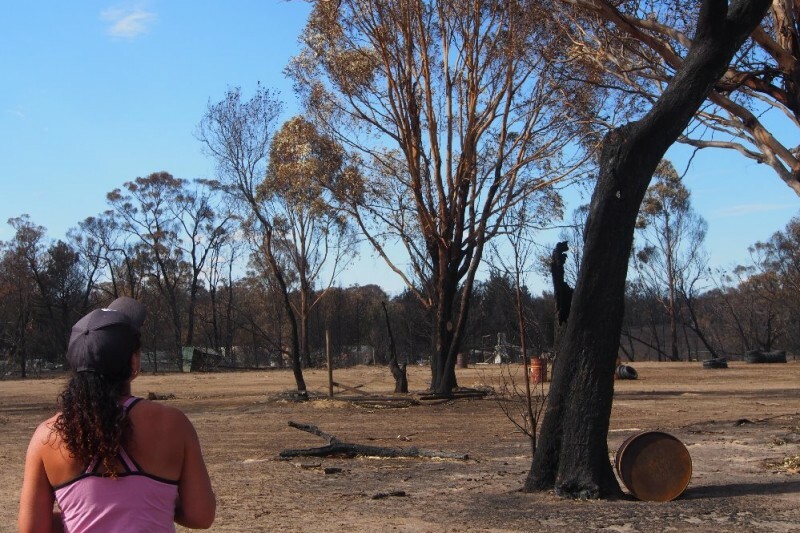 Even though traumatised by the event, the threat to her life and that of her children and friends present on that fateful day, Tracy still helped her neighbours with their dreadful post fire needs. Tracy has always gone above and beyond, helping people and their horses for a long time..... now it's her turn to receive help. <<Working bee Sunday 24th January>> Over the last month we've had many messages and phone calls asking - how can we help? Now here's your chance to contribute to the concept that many hands make light work! 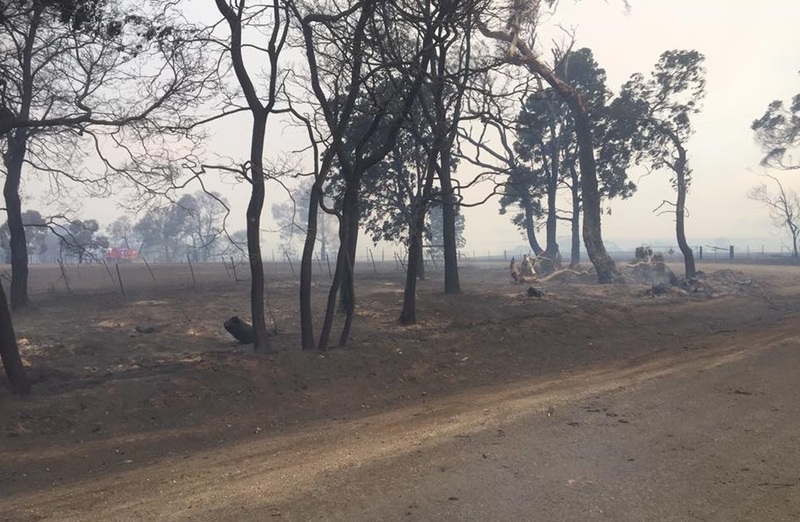 Thanks to the 91 people who have contributed to http://www.gofundme.com/UnicornParkFire we now have 90 fence posts in the ground. These 90 posts need painting! If you have an hour or two (or more) free tomorrow please grab a paintbrush and/or small bucket and make your way out to Unicorn Park at 33 Courts Road, Clarendon. No need to let us know you are coming - just rock up at your convenience from 9:30am. Our beautiful new posts need painting! Once again special thanks to all who have contributed to this fundraiser. Tracy has been bolstered by all the positiveness that has come her way and it has encouraged her to accept the press requests for feedback about some of the challenges relating to the fire and aftermath. Tracy wants to convey to all you wonderful people, just how very humbled and somewhat embarrassed she is by the generosity of the donations to this fundraiser. She wanted to let each and everyone one of you know "that it's people like you that give her hope that she can rebuild and that is everything is going to be ok". With all your backing, today she was able to put in an order for $4500 of materials for her new perimeter fencing. Any further donations will help her with her internal fence replacements and water piping and troughs. A big heartfelt thank you from everyone at Unicorn Park. Hi Suski - thank you for your kind offer. The address is 33 Courts Road, Clarendon, 3352, Australia.